Record breaking win in Bennetts Lightweight TT Race puts Michael Dunlop third on all-time TT winners list. 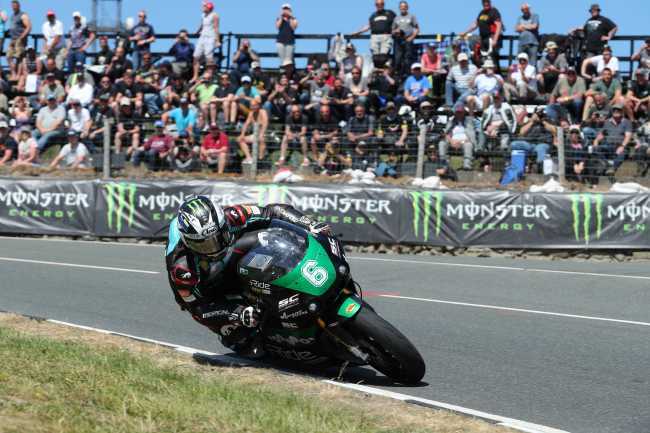 Michael Dunlop took a record breaking win in the Bennetts Lightweight TT on Wednesday afternoon at the Isle of Man TT Races fuelled by Monster Energy with the Paton rider smashing both the lap and race records on his way to his 18th TT win. Despite a relatively steady start, Dunlop took advantage of early leader Ivan Lintin’s retirement at Bedstead on lap two and with a new lap record of 122.750mph, he came home 14.6s clear of Derek McGee and Michael Rutter. McGee second place was his first TT podium. Dunlop beat the old race record by over a minute. McGee led at Glen Helen on the opening lap with the Irishman flying on the KMR Kawasaki although it was close with his lead over Lintin just half a second. Dunlop was 1.6s back in third with Stefano Bonetti, James Cowton and Rutter slotted into fourth, fifth and sixth. 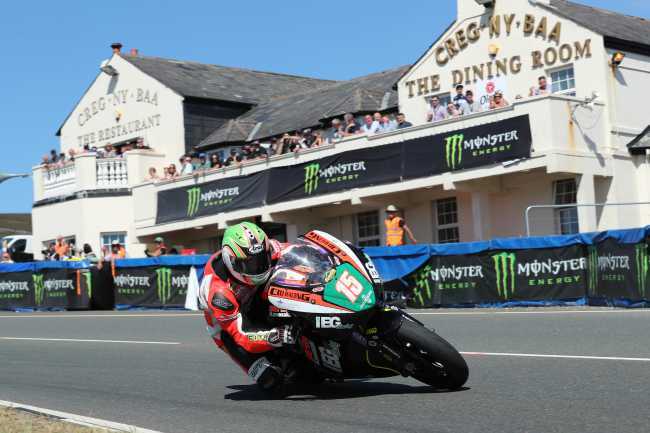 By Ballaugh, Lintin had nosed ahead by 0.8s but one man in trouble was David Johnson, the Australian stopping to make adjustments to his KMR Kawasaki at Douglas Road Corner. By Ramsey Lintind was 2.9s clear of new second placed rider Dunlop as McGee slipped back to third albeit only 0.3s. Bonetti, Cowton and Rutter continued to fill fourth to sixth place positions. Michael Sweeney, Ian Lougher, Adam McLean, Julian Trummer and Dominic Herbertson completed the top ten. during the Bennetts Lightweight TT Race.